Red light therapy is a technique that uses red low-level wavelengths of light to treat skin conditions. It treats skin conditions such as scars, small wrinkles and long-lasting wounds or other skin conditions that usually take a long time to heal on its own or not heal at all and therefore leave nasty scars or damaged skin. Where various other medicines or treatments focus merely on the surface of your skin, red light therapy also treats the lower layers of the skin. This in its term can more effectively treat those skin parts with persistent scars or wound residue or even small wrinkles. Order a red light led mask now. Red light therapy works by triggering a biochemical effect in cells that strengthens the mitochondria. The mitochondria are the main source of energy and power of the cell: it is there where the cell’s energy is produced. The molecule that carries the ‘energy’ in the cells is called adenosine triphosphate or ATP. Red light therapy for wrinkles is growing very popular. By enhancing the function of the mitochondria using red light therapy, a cell could produce more ATP. By increasing the energy of a cell, the cells could function more efficiently, rejuvenate and repair even damage. Red light therapy is different compared to laser technology as red light therapy is harmless. Plus, it will not cause any damage to the skin. Whereas laser technology or any other impulse therapy might do so! Red light therapy leaves no marks and does not damage any skin cells, neither on the surface or lower levels of the skin. The benefits, however, can be great and skin abnormalities will with the correct treatment frequency improve and heal and even may reduce old wound scars as well! How can red-light therapy benefit your skin? The frequency of the red light therapy needs to be decided according the skin condition that needs treatment. In other words, it may therefore vary per skin condition. To establish the correct treatment frequency, proper research and consultancy of or by your doctor will help to make sure that the red right therapy will have the best results! As in treatments, it is advised to consult your doctor or physician intensively before you start any treatment. As a result, this will establish the right use and application of the treatment, this is valid also for red light therapy! There is extensive research available on various sites, and your doctor or physician can give you additional information as well! Since I have started to use red light therapy, I have seen significant improvements in my skin. Overall, I can recommend anybody to explore this relatively new and good way to treat any type of skin condition! Right now, lots of people are buying red light face masks to get rid of wrinkles, acne and a number of other skin issues. It has been shown to deliver powerful results. This is futuristic technology that is growing more and more popular. The best news of all is that this red light therapy mask can really remove skin blemishes. 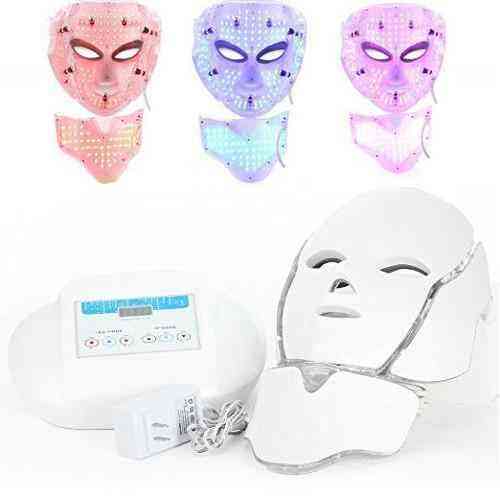 You can find the best LED face mask for sale here.